I'm looking to retire soon and a financial adviser wants me to invest half of my $700,000 401(k) balance in an annuity. I'm wary of doing that as the annuity's annual fees total almost 3% and I'm also already eligible for a combined Social Security and pension benefit of $70,000 a year. What do you think? --D.H.
All sorts of alarms and warning bells started going off in my head as I read your question. The hefty annual fees and the fact that the adviser wants to put a pretty big chunk of your $700,000 savings stash in this annuity are by themselves enough to make me question this recommendation. The fact that Social Security and a pension will already provide you a substantial assured annual income raises even more doubts. Not that any of this proves that this adviser is trying to bilk you. But there are enough shenanigans and dubious practices that go on in the annuity world --some of which are outlined in this report Senator Elizabeth Warren's office issued last year -- that I think any reasonable person has to wonder whose interests are being better served here, yours or the advisers. 1. Do you really need more guaranteed income? The main function of an annuity is to provide income you can count on, regardless of what's going on in the financial markets, for the rest of your life. But if you're already getting enough lifetime income from other assured sources like Social Security and a traditional check-a-month pension, then an annuity may be overkill. Of course, whether a given amount of guaranteed income is "enough" is a subjective judgment. But one way to determine whether you need additional guaranteed income is to go to a retirement expenses worksheet like this one from BlackRock, list all of your living expenses and then divide them into two groups -- essential expenditures (food, housing, insurance, etc.) and discretionary outlays (travel, entertainment, gifts, whatever). If you find that you can cover all or nearly all of your essential expenses with income from Social Security, a pension and any other assured sources, then you probably have all the guaranteed income you need. You can rely on draws from your nest egg to pay for discretionary outlays and unanticipated expenses and, if necessary, cover any additional essential expenditures. In your case, that $700,000 you now have in a 401(k) should be able to support annual inflation-adjusted withdrawals of anywhere from roughly $20,000 to $30,000 a year for upwards of 30 years. That should give you plenty of leeway to meet all types of extra expenses. But to get a better estimate of how much you might be able to pull from your nest egg each year based on how your money is invested, how long you want it to last and how much risk you're willing to take of your savings running out, you can check out this retirement income calculator. That's not to say that someone whose essential expenses are fully or mostly covered by Social Security and other assured income sources might not prefer to have more guaranteed income anyway. For example, if you feel you'll just enjoy retirement more knowing that you'll have steady income flowing in even if the financial markets are going kerflooey -- and, in fact, research shows that people who have pension and annuity income tend to be happier in retirement -- then you may want to devote a small portion of your savings to an annuity just for the peace of mind. You don't want to overdo it, though, as devoting too much of your nest egg to an annuity could limit your financial flexibility and even undermine your financial security in retirement. 2. Do you need guaranteed income now? Even if you're sure that you'd like to have additional guaranteed income beyond what Social Security and a pension will provide, that doesn't mean you have to buy it all now. Indeed, there's a compelling case for waiting. Sometimes it hard to tell in the initial years after leaving work when you're still adjusting to retirement just how much spending you'll do and what expenses you'll incur. 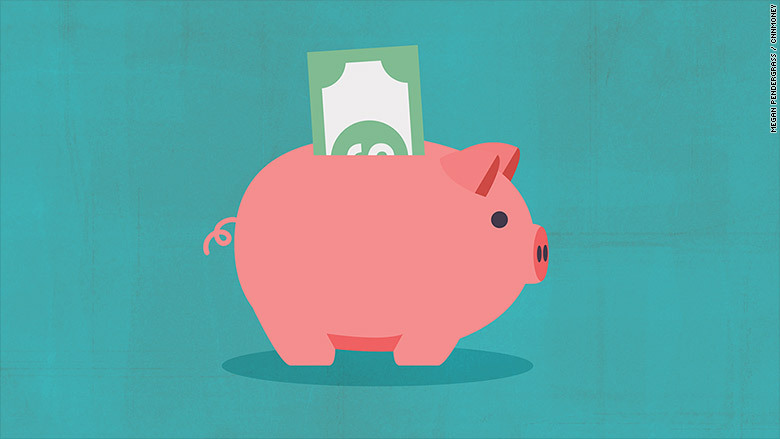 It could take a few years before you get a realistic fix on your spending habits. So rather than run the risk of locking in more guaranteed income than you need, it's not a bad idea to hold off on an annuity until you have a clearer idea of just how much, if any, additional secure income you'll actually require. And even if you do decide it's time to convert savings to lifetime income via an annuity, you may want to do so in stages -- that is, buy several annuities over the course of a few years -- rather than committing the money you've earmarked for an annuity all at once. The reason is that, all else equal, the higher interest rates are, the higher the annuity payment you'll receive. By buying a bit at a time, you reduce the risk that you'll invest all your savings when interest rates -- and thus annuity payouts -- are at a low point. Investing gradually will also give you a better chance to gauge how much guaranteed income you actually need. 3. What kind of annuity makes the most sense? Based on your question, I assume that this adviser is suggesting you buy a variable annuity, a type of annuity that allows you to invest your savings in mutual fund-like "subaccounts" and that typically comes with riders that, among other things, can provide lifetime income. But while variable annuities, as well as another type of annuity known as a fixed indexed annuity, are very popular with annuity sellers, I'm not a fan. I think many, if not most, such annuities are too complicated, too hard for individuals to understand and in many cases too laden with high costs that undermine their effectiveness. Which is why I think individuals looking to invest a portion of their nest egg in a vehicle that can provide guaranteed lifetime retirement income are generally better off going with something more straightforward: a plain-vanilla immediate annuity. You turn over a sum of money to an insurer and in return you (and your spouse, if you wish) get a specified monthly payment for life. Today, a 65-year-old man investing $100,000 in an immediate annuity would receive about $525 a month for life, a 65-year-old woman would collect about $490 and a 65-year-old couple (man and woman) would get roughly $430. To see what size payments you might qualify for -- and to see how payments vary among different insurers -- you can check out this annuity calculator. Like any investment, an immediate annuity has downsides. You typically give up access to the money you invest in an immediate annuity, so it's not available for emergencies and such. And if you die soon after buying, you'll have shelled out a lot of money for relatively few payments. But that's why you don't want to invest all or probably even most of your savings in an immediate annuity. The idea is to use a portion of your nest egg to get what only an annuity can offer -- guaranteed lifetime payments -- ''while leaving the rest of your savings in a diversified portfolio of stocks, bonds and cash that you can dip into throughout retirement. If, after answering these questions, you're still not sure what to do, you might consider going to an adviser willing to work on a flat-fee or hourly basis for a second opinion. But I certainly wouldn't make this large an investment purely on the say-so of the person selling it, and who likely stands to earn a substantial commission for doing so.